Who knew that having little orange men with green hair running around would make way for such a wonderful set of life lessons each day? We see many major issues such as greed, gluttony, and the works being discussed by the Oompa Loompas' songs, but that was on a major day for the factory. We've been wondering if this happens on a daily basis. Would we sometimes hear them singing songs like, "that's what you get for mixing reds with your white clothing," or maybe "it's really time to take out the trash under the kitchen sink?" We're not sure at what point that would stop being helpful, and just become a little too annoying. At least they have good singing voices. Do you feel like the kids in your neighborhood have a few flaws that might be fixed with a little song and dance? 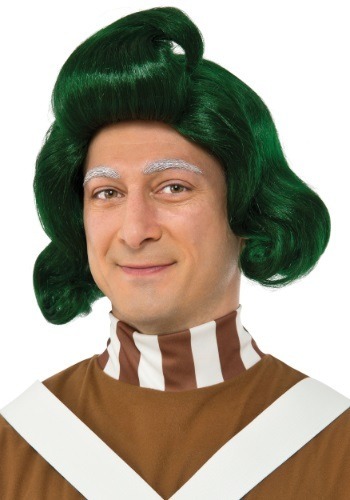 Don't forget to grab a fantastic wig to match your costume before you go off to sing to them about the dangers of not looking both ways before crossing the street!